...who could for the first time ever enter the STYL and KABO Visitors Club and make use of some of its many advantages.A half of the exhibitors consisted of manufacturers, a third of the companies present came to Brno from abroad. “The STYL and KABO trade fairs once again proved their worth. It’s a pleasure to know that we are the only contractual event of its kind in Central Europe,” said Jiří Kuliš, the CEO of Trade Fairs Brno Co. The newest and the most state-of-the-art hall of the Brno Exhibition Ground – the pavilion P - became filled with clothing and fashion accessories. The first thing that attracted the attention of anyone coming there was the new look of the Programme centre and its catwalk, which has opened itself to the pavilion and tempted the passers-by to stop by. The fashion shows took place on the runway four times a day and alternated between womenswear, menswear, and collections of lingerie and swimwear. The section of designers who – alongside custom clothing design – also create small collections of clothing and deliver them to boutique has expanded in numbers. The traditional summer section of textiles and haberdashery with suppliers from the Czech Republic, Hungary, and Poland wasn’t absent either. A part of the area was taken up by the section of bijoux jewellery and fashion accessories. Focused on swimwear! An extraordinary amount of attention was placed on swimsuits – a small but very challenging to manufacture piece of clothing. This process was thoroughly explained at the unique exhibit La Manufacture – swimwear step by step or, from an idea to recycling. In the pavilion P, visitors could explore the dozens of necessary production processes and inspect the required machinery. They became familiar with the rules of their swimsuits’ proper maintenance and with the upcoming trends of the 2019 and 2020 seasons. The supporting exhibition of historical photographs mapping the hundred years of continuous evolution of swimsuits and beach fashion was well received by the audience. The nearby pavilion F became the centre of footwear and leather haberdashery. Thanks to a new way of arranging the exhibition stands, the previously not fully utilised part of the pavilion could be reconditioned into a space surrounded by expositions of premium footwear brands – KABO LOUNGE with a lecture space, a help centre, and a relax centre. The free-of-charge help centres were for the first time present at both of the trade fairs and enabled the exhibitioners and the visitors to consult their problems with recognised forensic experts as well as with experts from testing institutes and professional associations. 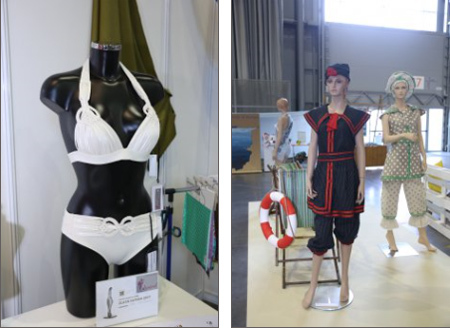 The supporting programme provided interesting information with its lectures about the trends in beach fashion, the realities of the process of returning goods, and the innovations in the Merino wool industry. For the first time, the programme included presentations dealing with advertising campaigns on social media, which can be a simple, free, and effective way for a businessperson to get in contact with new customers. All the presentations took place directly in the exhibition halls, within reach of all visitors. Two ceremonies were held in the area of the KABO LOUNGE. On Saturday, three Czech manufacturers and regular exhibitors at the trade fair received the awards Česká kvalita (Czech quality) and Žirafa – zdravotně nezávadná dětská obuv (healthy footwear). On Sunday, the winners of the 12th annual competition for young designers of shoes and leather haberdashery for the Jan Pivečka Foundation Award were officially announced. The STYL and KABO Visitors Club had a successful launch. The club membership brings a number of benefits to all registered professionals – not just the retailers. There is no more need for repeated registration, the membership card guarantees free entry to the trade fairs and parking to its holder. Other bonuses of the membership include snacks and a free entry to the unique exhibition of painter Alfons Mucha, which is currently talking place on the exhibition grounds. Almost four hundred visitors took advantage of the opportunity. The Visitors Club enjoyed a positive reaction and is seen as a potential road to establishing a community of experts in the fashion industry. 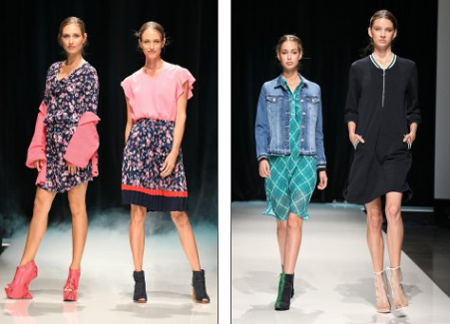 The 53rd International Fashion and Footwear Trade Fairs STYL and KABO will take place from the 16th to the 18th of February 2019.